Just when you think the worst is in the past, the sport rears up and shows you it’s never going to be truly safe. SAFER Barriers, head and neck restraints, crushable panels, Kevlar construction, none of that technology is enough to keep race drivers completely safe. 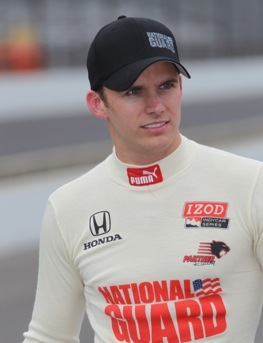 Now the open-wheel division of the sport has claimed the life of a grand young man by the name of Dan Wheldon. When I first met the personable, chatty Englishman, it was 2002 and he was an unkown in America, trying to find a niche in what was then the Firestone Indy Racing League. Mind you, he had yet to run his first IRL race. Speedway and 15th at Texas Motor Speedway. That was enough of an audition to interest one of the best teams in the IRL, Andretti Green Racing. After a slow start with AGR in 2003, Wheldon closed out the season with seven top-10 finishes in the last eight races and a star was born. Over the next five years, Wheldon never finished worse than fourth in the standings. And, in 2005, he realized his dream, winning the Indianapolis 500. The joy of that moment, drinking the milk, wearing the wreath and taking the victor’s ride around the historic Indy oval was almost more than he could handle. Wheldon admitted later that he walked around for hours after the 500 trying to suppress tears, and often failing to fdo so. Later that year, he wrapped up the series championship. But Wheldon said that success still paled in comparison to winning the 500. But the second Indy win would take six years to get. Dan Wheldon knew how to drive and smile. chance. Then, this year, a deal came together with former teammate Bryan Herta and the Curb Agajanian team. 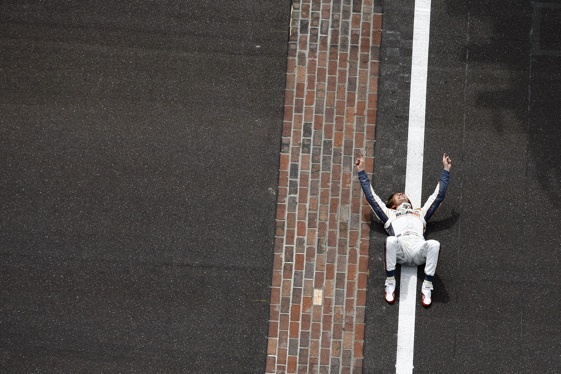 The stars were aligned that day as rookie J.R. Hildebrand crashed on the final turn of the race, leaving the checkered flag to an amazed Wheldon, who had resigned himself – proudly – to finishing second in the one-off drive. Beyond that win, he got what appeared to be the fortunate opportunity to enter the season-finale at Las Vegas with a chance to earn a $5 million bonus with a victory. Instead, Wheldon got caught up in a horrifying 15-car crash that took his life. His death is the first in what is now the IZOD IndyCar Series since Paul Dana was killed at Miami-Homestead Speedway in a warmup prior to the opening race in 2006. In the five years since that fatality, there have been many terrible looking crashes and close calls, but no fatalities. It became easier and easier to forget just how unforgiving this sport can be. He never became a household name but, when Dan Wheldon died, a special light went out. It’s a tragedy for his family, his friends and his fans. It’s a terrible, sad day for those of us who knew him, but I know that Dan loved his chosen sport and would want people to remember him not for his tragic death, but for what he accomplished on the racetrack, particularly those two checkered flags at Indianapolis.